Most ecommerce websites have been struggling to drive customers to their sites. Consider it a must-do to evaluate and understand how to boost ecommerce website performance. While setting up an ecommerce site is fairly easy, getting customers into it is never as easy as just setting it up. The job of building an effective website does not end in listing hundreds of products. There are optimization considerations you should think of before you can successfully gain traffic. Yes, you read that right. Your traffic will not start rolling just because you’ve made your website go live. Optimizing an ecommerce site could be a little bit harder than a traditional website, and it could be a lot more difficult – unless we fix these common errors. The common belief that you don’t need quality content for an ecommerce website to rank in top SERPs is far from reality. Know that the Panda Algorithm will be on guard to spot low-quality content and restrict your website from going up the ranking ladder. 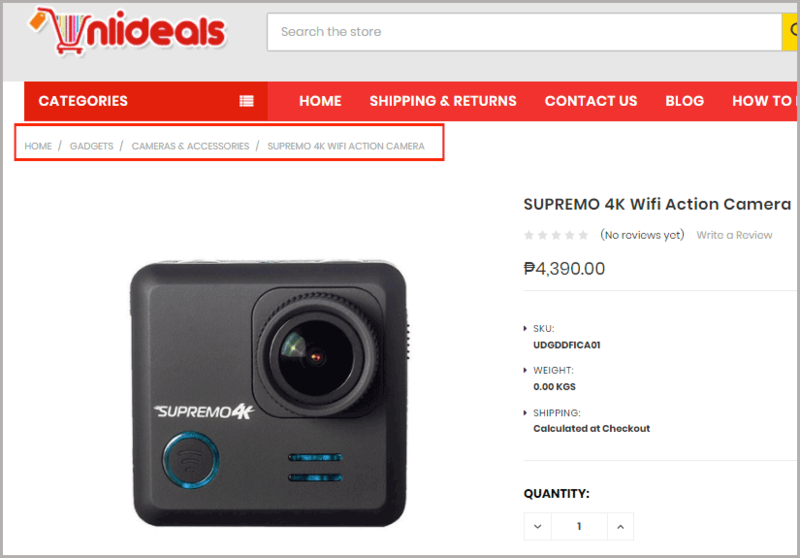 Normally, an ecommerce website product page would contain photos and a description of products copied from the manufacturer. But do you know what that would get you tagged for? Duplicate content. However, you may wonder… should you spend most of your time creating unique quality content to describe hundreds of products? Well, that would be impractical, and luckily you don’t have to do that! With the help of user-generated content, you can increase your content quality without manually creating it yourself. User-generated content could be in different forms. 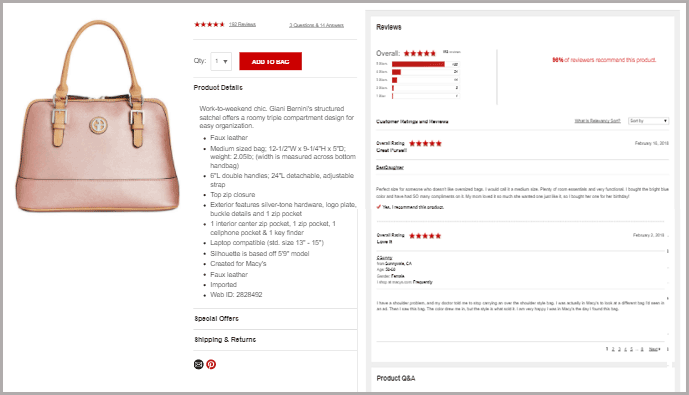 You can enable product reviews, ratings, inquiries and comments on product pages – take for example Macy’s product reviews and Q&A. For long-form content, you don’t need to place a novel-length description on your product pages. You can set up a blog page and create featured content to attract readers and drive them to your website. Now, if for some reason you can’t avoid copying content from manufacturers, the best way to avoid getting banned from search engines is to put a NO INDEX meta tag on these pages. The Panda Algorithm knows no excuses when it judges low-quality content. It will hit you once and hit you hard for poor content! So instead of letting your site suffer, better keep in good standing through quality content. Must-Fix #2: Technical SEO? What’s That? Technical SEO is as important as your content, but still, many ecommerce websites are not very particular with the technical SEO of their sites. Perhaps this is one of the main reasons why your website is not getting into SERPs. Here are some technical SEO considerations you need to take a look at. If you have a traditional website, you may think this detail is one you just wouldn’t miss. But for some reason, plenty of ecommerce companies fail to follow this simple rule! If you’re publishing thousands of products this might be no surprise, and at some point, you could end up using the same keyword for two or more items. The ideal way to avoid this mistake is to create a recipe for your title tags. Listen to the language used by your consumers and create a recipe you can follow to create unique tags. Slow loading speed is a big no-no even if you’re an online shopping website with thousands of products. With the competition getting tougher and tougher and information readily available on the web all the time, users will not wait for your website to load to check your items. Shopify reported a 7% decrease in conversion for a 1-second delay in loading your page! So before you miss your chance for conversion, take action and resolve slow page loading speed. First things first: Check your current speed using Google’s PageSpeed Insights Tool, or any third-party tool you’re comfortable with. Check the recommended things to do to improve performance. You also need to check your image optimization. Delete images you no longer need, or compress images in Photoshop before uploading to the website. Caching is also important, and it is highly recommended that you enable CDN (or content delivery network) in handling and serving your content in different geographic locations. 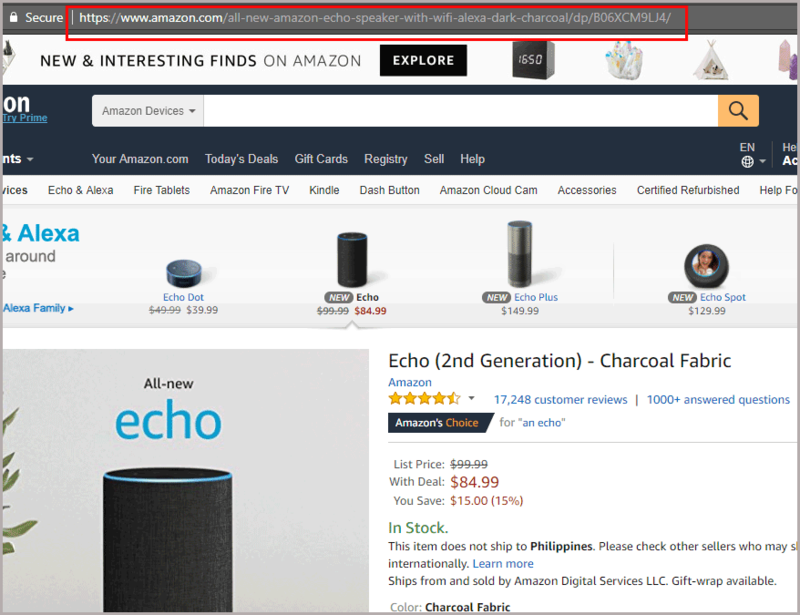 Ever notice some ecommerce websites using this URL structure on the site: onlineshopping.com/product-id-100789? This type of URL isn’t a keyword-friendly URL, it’s a non-speaking URL. The problem with this URL structure is that it creates vague expectations for users, and they may end up ignoring your site when they see it in SERPs. Make your URLs keyword-friendly as much as possible. Instead of the common product id in the URL, try to make it as descriptive as possible, but not too long. Using a speaking URL will provide your website several benefits. It is relevant, easy to look at and understand, and most of all, it makes things clear for customers, because they can understand what they should expect when clicking the URL. What are directional cues? These are tiny bits of information you placed on your website which can help provide users with a convenient navigational experience. These cues can improve user experience, thus allowing them to stay on your website longer. Breadcrumbs, for example, are important cues you can add to your website. A breadcrumb allows users to track visited pages, and allows them to go back to previous pages without a hassle. Technical SEO can make your website more appealing to search engines, and therefore more easily searchable by users. If you keep ignoring your technical SEO, increasing ranking and traffic may be a lot more difficult for you! 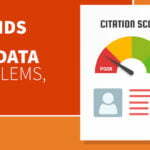 Improper linking can be annoying for consumers. Know that affiliate programs do not always work. Natural links will always be the best option for link building in your ecommerce website. Building natural links can be pretty challenging, but with a varied approach you can find ways to increase your ecommerce site ranking. The good thing about ecommerce websites is that there’s many ways you can gain links. Review sites are an ecommerce favorite. You can also tap into bloggers and offer them discount coupons to write a blog about your website. If you want a good ranking and increased visitors for your ecommerce website, if you really want those good payoffs, then you must make optimization a priority. Website optimization is done not only so that search engines will love your website, it also plays a crucial role in improving website usability. 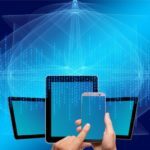 The right optimization techniques can lead the right people to your website, and when people see and love what they experience while on your website, they’ll be less likely to click back to search results. This can lead to an increase in ranking, to more and more traffic – and eventually to more leads and conversions! Is trying to boost ecommerce website performance a struggle? Share your point-of-view in the comments! SEO consultant Al Gomez is the man behind Dlinkers.com, a company dedicated to providing digital marketing services. With more than ten years of experience, he enjoys supporting smartpreneurs working to achieve online success. « Not Leveraging Mobile Marketing Yet? Four Reasons to Start Now!